Due to its great climate, Alicante is the perfect destination for visitors seeking to play outdoor sports such as golf, water sports, tennis etc… all year round. There is a wide selection of golf courses including the fine 18-hole courses Alicante golf, located i n San Juan Beach, and El Plantío, near Alicante airport. 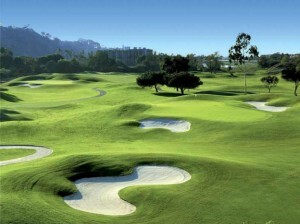 There are also another three 18-hole courses located very near to the city. Host city for the Euro Basket 2007qualifiers. Base port for the 2002 and 2007 outings of the Tall Ships Race (previously The Cutty Sark). Semi-final of the Davis Cup 2004. Alicante Golf was opened in 1998 in a ceremony led by Severiano Ballesteros. It is a 72-par course that includes six par-three holes, six par-four holes and six par-five holes, meaning that no two consecutive holes are played with the same par in any one round. 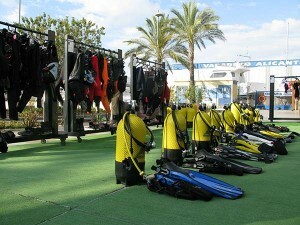 It is staffed by a professional team with extensive experience in the field of recreational diving company. In order to develop the diving as fashionable activity for all ages. In AQUANAUT have a facility with more than 180m2, located in Alicante New Fishing Dock. Designee and equipped with latest generation material and quality. Specialist stores. A classroom equipped for lectures, seminars and symposia. • Two complete costumes. • charging station authorized with latest generation compressor. • Storage area and drying of diving equipment. • Area for rinsing equipment after each dive. • Mooring area a few meters from the centre, which facilitates loading and unloading of equipment. • Parking in front of the dive centre. 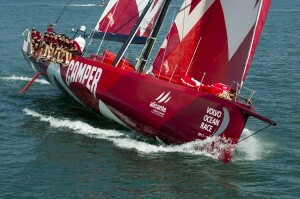 Thanks to the success of the start of the Volvo Ocean Race a worldwide regatta, in October 2008, it was confirmed that the city would be hosting the beginning of the next three editions of this important sailing competition, in the years 2011, 2014 and 2017. 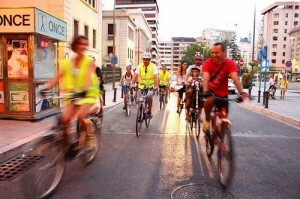 Critical Mass is an open group that meets once a month, to take a bike ride through the city Alicante. The common goal is to claim the bicycle as a valid and respected transport. - October to March: first Saturday of each month at 12.00 h. Plaza de Toros. - April to September: first Friday of each month at 20.00 h. Plaza de Toros.